On the left side we have the lead from the excellent Vikings TV series in a wig looking stoic. 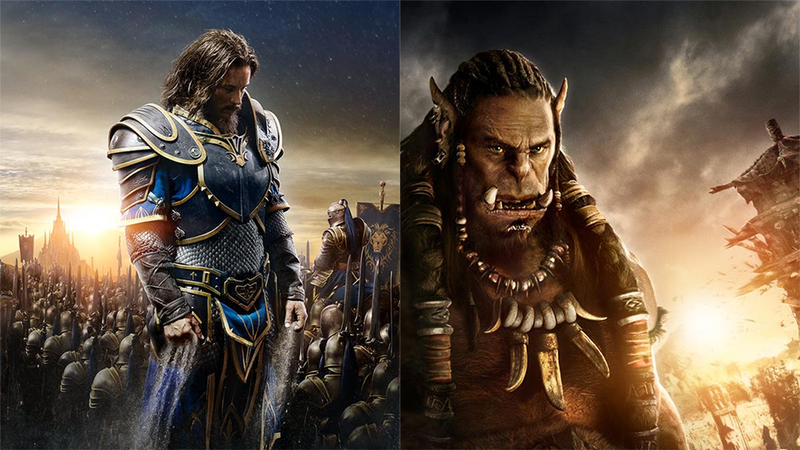 On the right...well I suppose that’s an orc, if orcs looked like humans with horrid prosthetic faces. Lothar, portrayed here by the talented and frightening Travis Fimmel, looks like a human ruler with a massive weight on his shoulders. Only part of that weight is the obligatory shoulderpads. Durotan the orc, voiced by Toby Kebbell, looks like that scene in Army of Darkness where Ash’s face elongates. But definitely something human mixed with something quite inhuman for twisted and mildly disturbing results. Maybe it’s just the lighting—the shot of Orgrim Doomhammer from earlier this year was actually quite nice. The two posters debuted at San Diego Comic-Con this weekend. There’s a Legendary Pictures panel going on as I type this, so hopefully we’ll have more shortly.